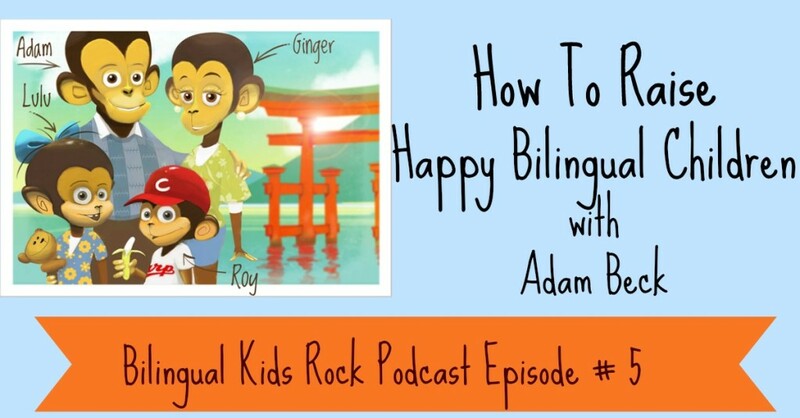 On this episode of Bilingual Kids Rock Podcast, we give more tips and ideas on how to raise bilingual kids. Bilingualism is more like a journey, but you still need to set up couple destinations so if you reach them – you will be happy with your journey. 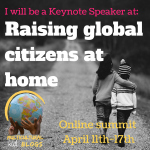 My special guest is Adam Beck, founder of Bilingual Monkeys. He came to Japan in 1996 and taught English to bilingual children at Hiroshima International School for a number of years. He has two children who speak Japanese and English. His wife is Japanese and they teach their kids language with the system – One Parent, One Language. Bilingual Monkeys offers strategies and support for busy parents seeking to raise bilingual children. It was created by Adam who has worked with hundreds of bilingual children over the past 15 years, provides practical ideas and inspiration to help meet this challenge with greater success—and have more fun in the process. Don’t you wish you would have found it sooner? Well to help other parents find Bilingual Kids Rock and spread our positive message – please subscribe & consider leaving a review and rating on iTunes. You see – your reviews and subscription information is how iTunes determines what’s good, what’s bad, and what they should share with new listeners. We REALLY appreciate your help – we can’t grow without your support. To leave a review, login to iTunes, go to the BilingualKidsRock Podcast, and click the Ratings and Reviews tab. Then rate us – five stars being good – and let us know what you enjoyed about the show. We’ll even highlight your reviews in future podcasts!